The Founder and Head Instructor of Krav Maga Global is Eyal Yanilov. Eyal began practising Krav Maga at the age of 15 under the personal tutelage of the Krav Maga’s founder, Imi Lichtenfeld. From an early age he showed extraordinary talent as a student as well as an instructor, and was recruited by the grandmaster Imi to train high-level students and to certify other Krav Maga instructors. Eyal eventually became Imi’s closest student and assistant. He is the only individual to personally receive the Founder’s Diploma of Excellence and the then unprecedented rank of Expert Level 8, the highest rank in Krav Maga. Eventually, Eyal travelled abroad and began to teach the system in many countries around the world. In the United States and Europe, Eyal taught Krav Maga to special military and law enforcement units, as well as to civilians. In order to manage the challenge of making Krav Maga truly international, Eyal founded the International Krav Maga Federation and served as its president, under the tutelage and with the support of Grandmaster Imi. In practice, Eyal has personally trained all of the world’s first-generation Krav Maga instructors. Since Imi’s death in 1998, Eyal has taken upon himself the responsibility of leading the continuing development of Krav Maga. 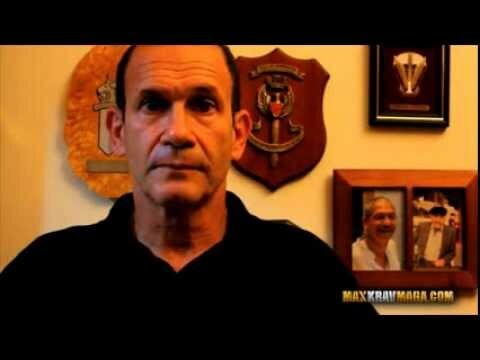 In 2010 he established KMG – Krav Maga Global. Eyal continues to train instructors and staff all over the world, and has created a global infrastructure for disseminating the system. At present, under Eyal’s personal supervision, a team of elite instructors – The KMG Global Team – is bringing Krav Maga to a wide and growing array of countries. In addition to the many civilians training in Krav Maga centres, military and police special forces from around the world have adopted Krav Maga – as taught by Eyal and his team – as their preferred combat fighting system.